utamaro kitigawa died of a broken heart. at least this is what some of his biographers say, though none of them seem to agree on much. 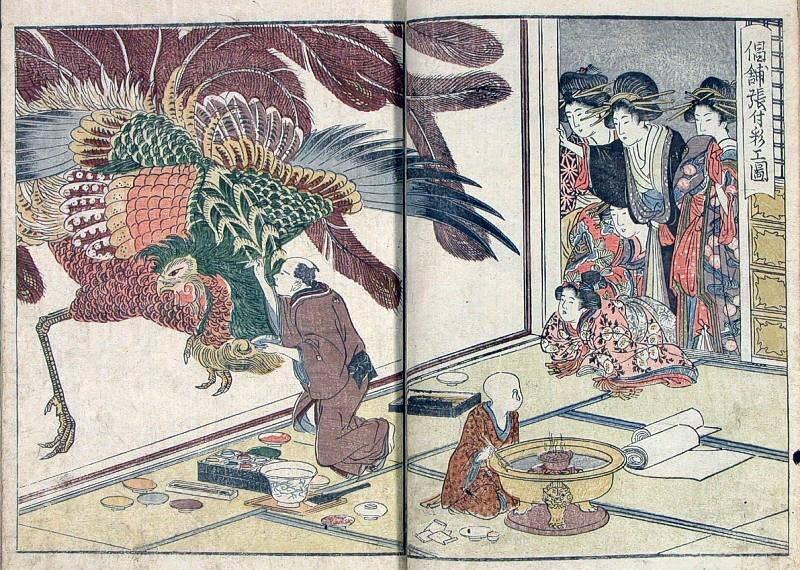 this is his print of himself painting a ho-o bird (a phoenix) on a wall in a "green house," a house of pleasure, as the courtesans look on. they were his favorite subject (with nature studies being a close second), and his most popular productions. 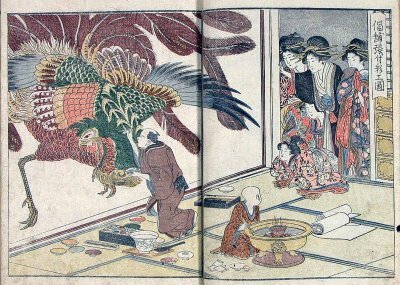 his eye for female beauty seemed unparalleled in the japanese art world, and yet it was subject in his paintings which got him arrested, jailed, and eventually broken. the stories of the arrest vary widely, but all include concubines being pictured elsewhere than they were legally allowed to be pictured (if indeed they were allowed to be pictured at all). still, his work was embraced in europe, and numerous artists credited him for having influenced their work in profound ways. to understand how this print will fit into this narrative, you will have to know that whistler saw it. You're going to tell us that "utamaro kitigawa died of a broken heart" and leave it at that?? ?